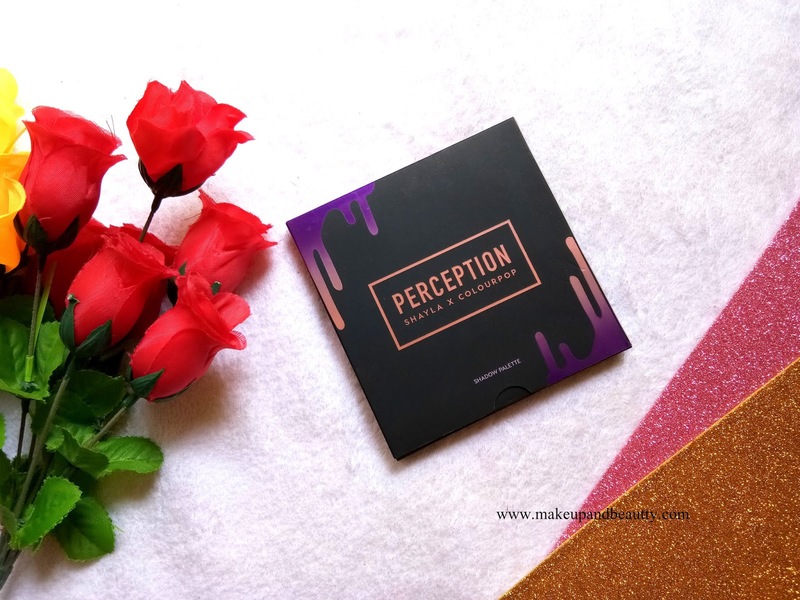 "BLENDING IS THE ONLY CARDIO THAT I LOVE TO DO ALWAYS..."
Talking about my recent pick from Colourpop SHAYLA X COLOURPOP PERCEPTION EYESHADOW PALETTE on my today's post. The palette that has some golden, black and purple Dalmatians print(well, that is my from my own dictionary of describing the packaging) on the palette makes it look luxe. The palette comes up with a huge mirror and it has no brush. 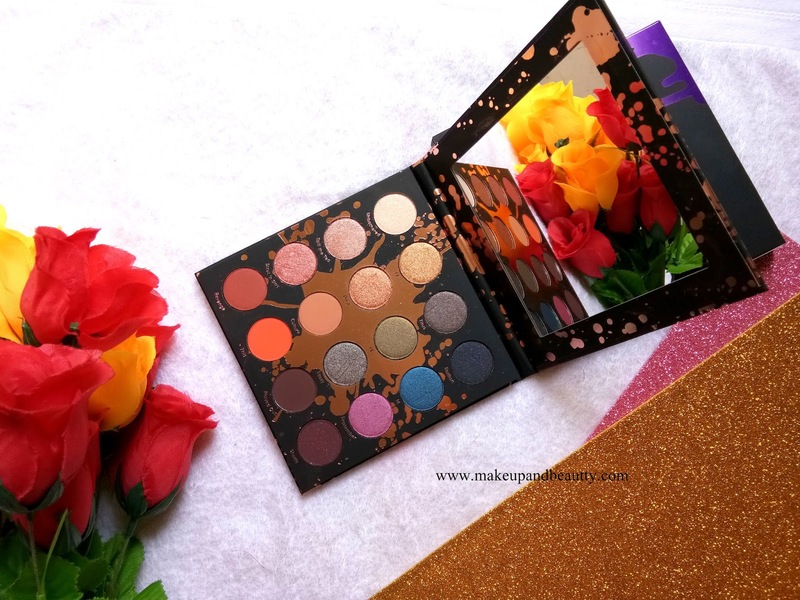 The palette has strong magnetic closure that securely close the palette thus no worry during traveling with the palette. Although the palette is little big but it has sleek packaging for which it takes a small space in my stash. 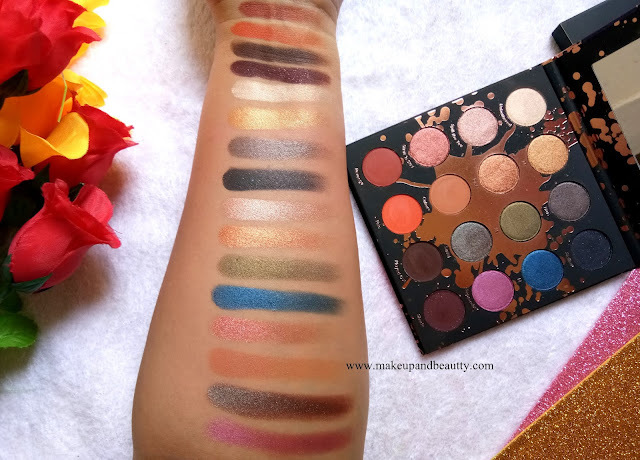 Price:- $23 on Colourpop website. Your eyes are the canvas, let this palette do the work. The perfect mix of matte & metallic finishes and range of richly pigmented shades make it easy to create any look. Transform your look from a soft daytime slay to a bold and fierce night out look with one palette. 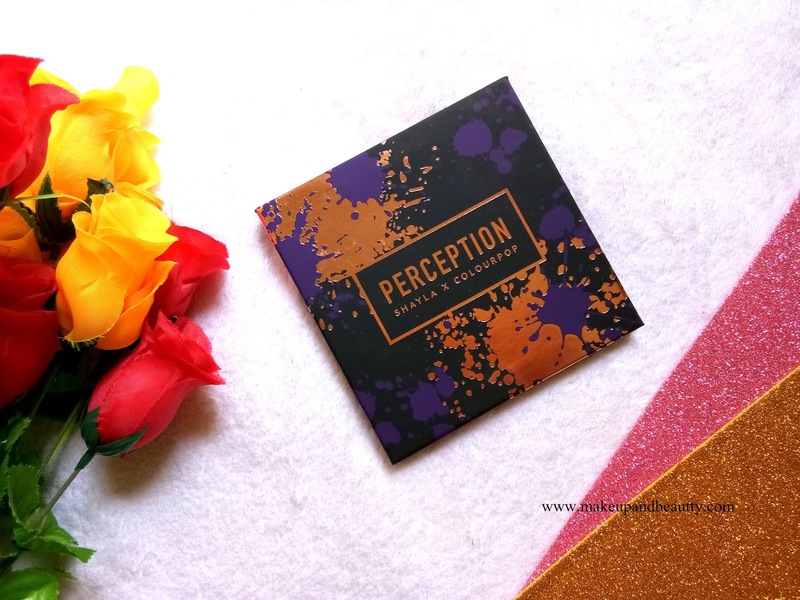 The highly pigmented shadow that applies evenly and feels ultra-velvety and silky. 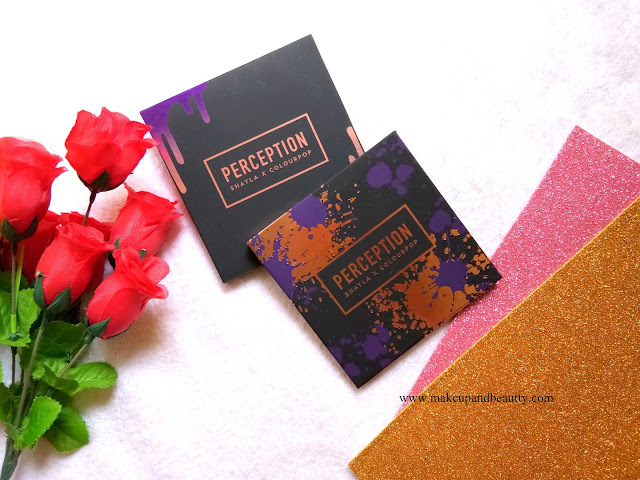 This long-wearing formula contains a unique combination of softer powders which adheres easily to the eyes, gives a soft focus effect, and blends smoothly and evenly. 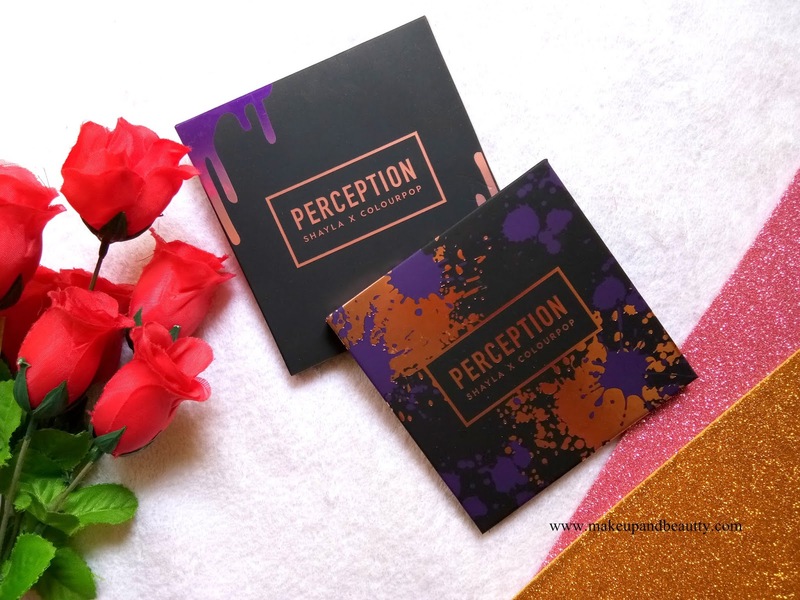 SHAYLA X COLOURPOP PERCEPTION EYESHADOW PALETTE is a limited edition eyeshadow palette. 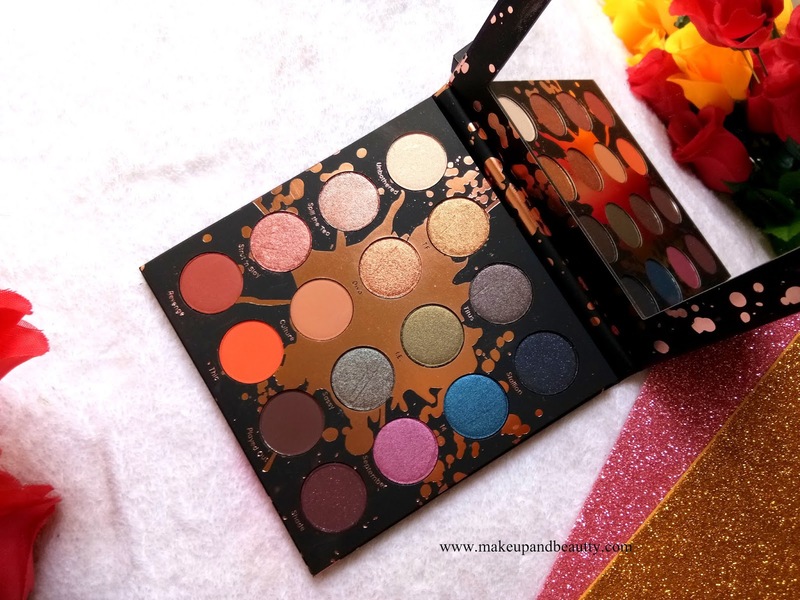 There are 16 pans of mixed finishes (both matte and metallic) eyeshadows in this palette. 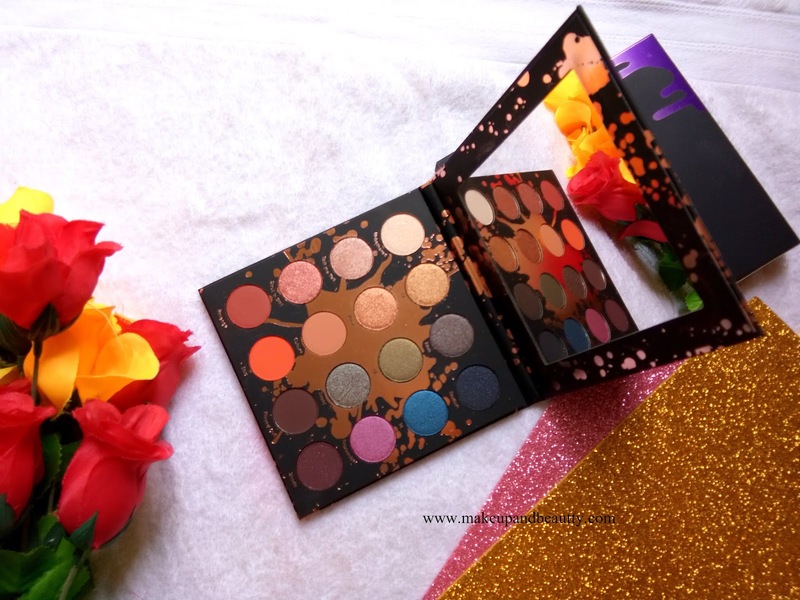 The palette looks luxe for its packaging. 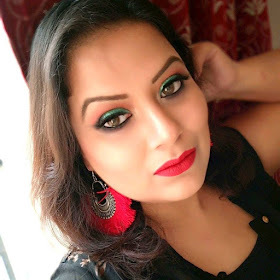 The warm beige to burgundy definitely made the palette fall into the warm category. The eyeshadows are super pigmented. One single swipe of finger swatches is enough to give you the clear idea of the pigmentation of eyeshadows. They blend effortlessly and I found there is hardly any fallouts. 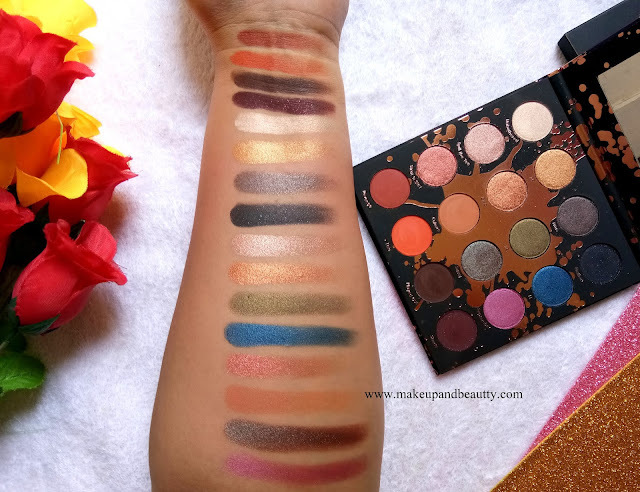 The mattes go easily with eye makeup brushes whereas the metallics go better with fingertips. The palette is a versatile one as some pops of color of eyeshadows that integrated really well with other warm shades. 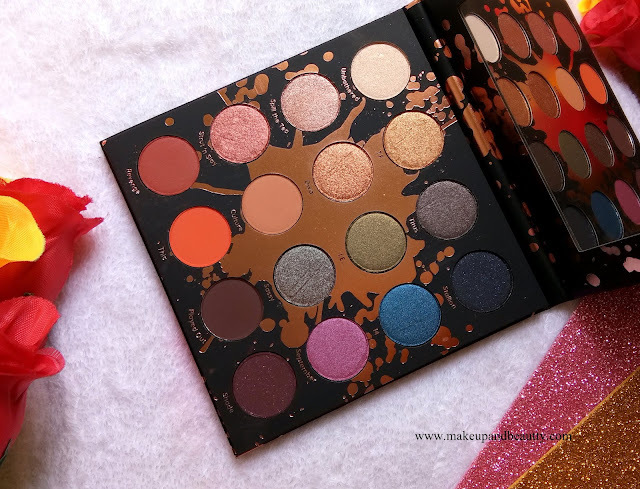 Overall I really love the palette and it is my second favorite colourpop palette after that "YES PLEASE" (reviewed here ) one.